Anytime you bring up the Fuzztones with garage rock afficianados you know you're going to get an argument. Either they love 'em, or they hate 'em. I'm in the love 'em category. They've gone through more line-ups than a Mariner's single season roster, and yet have managed to keep their "brand" in tact. And it's that sixties soundin', garage rockin', punk lovin' thing they do so well that keeps the fans coming back for more. 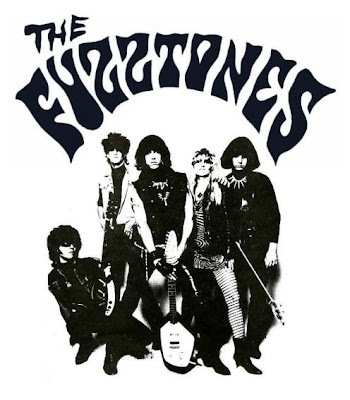 Ever since I picked up 1984's Lysergic Emenations I was a huge Fuzztones fan. For me they encompassed everything a sixties revival band should be: crunchy guitars, fuzzy farfisa organ, simple songs, and catchy choruses. Whether they were living out their own fantasies as the ultimate Sonics cover band, or churncing out their own wickedly cool original garage rock, the band was always forging new ground. It was pretty hard to narrow down their discography to just one quintessnetial song. Should I have chosen an original? They've got some brilliant ones, like "Ward 81". Or, should I have chosen one of their Sonics covers that they just shred to death? Like "Strychnine" or "Have Guitar Will Travel"? Ultimately it really didn't matter what I chose because all of the songs are equally good, which is what makes the Fuzztones such a great band. So, you get to enjoy "Bad News Travels Fast". Below is the video for one of my all time fave garage punk songs -- in fact one of my fave songs period -- "Ward 81". It's a pretty sophisticated video, even by today's standards. It's sharp, clean, and packs a punch like so few music videos do anymore. It's hard to believe this video is coming up on 30 years old. For a bit of a laugh and giggle, here's Larry King trying to keep pace with The Fuzztones. I wish there was video of this, but alas only the audio has ever been mass released.